On Tuesday 29th January, Recruitment International/TALiNT Partners held their first CEO Membership meeting of 2019. Leading the session were Stephen Jolly and Nick Wright from M&C Saatchi Transform. The meeting brought together over 20 senior leaders from the recruitment industry to discuss business transformation and culture change in a context where more than 80 per cent of organisational change projects routinely fail. - Organisations need to focus on behaviours rather than values. Behaviours determine the culture of an organisation and can be used to drive change. - Is your company implementing the right technology for the right reasons? Ensure you understand what younger generations want from technology in the workplace. Don’t be a ‘digital dad dancer’. - Collaboration is key. Any change must be supported by the entire organisation. Employees at all levels should be equipped to shape and drive future change. Jolly began by explaining the history of M&C Saatchi, from its origins as an advertising agency to providing a much broader range of communications services, including big data analytics, employee-driven transformation and behavioural change. Jolly’s role involves developing products for the company’s behavioural change business. The work of M&C Saatchi’s behavioural change specialists spans the globe, involving work in defence and security, international development and diplomacy, as well as organisational change work. Musing on the future for business transformation, Jolly highlighted the expected impact of artificial intelligence (AI) on jobs. Many countries had already seen an accelerating number of jobs disappearing and research by the Oxford Martin School suggested there was much more radical change to come. Agility, resilience, innovation, engagement, inclusivity, adaptability, loyalty or commitment were all proposed as necessary skills for the workforce of the future. In order to implement change, leaders need to be influencing people in the right way and measuring the results of any changes made. A longstanding Gallup study reveals that a staggering 85 per cent of employees worldwide are not engaged or are “actively disengaged” in their job. This is a statistic that Wright warned isn’t currently showing any sign of improving. In today’s competitive environment, there are a number of challenges that employers face: Technology, economic and political disruption, competition, diversity and inclusion (D&I), regulation, and employee expectation. Wright highlighted that culture change is the least profitable aspect of business transformation for the traditional management consulting firms. As a result, it receives the least attention. The consulting majors also persist in sticking to old-fashioned, ineffective techniques to manage culture change, and this is something in itself that needs to be transformed. Attendees were asked to discuss their experience around business and digital transformation. People debated the contribution it brings to a business, with an emphasis around value creation. With this in mind, it was felt important for values to be defined clearly. Those employees that truly live a company’s culture should be celebrated and be visible in the business. They must also, however, remain sensitive to the cultural differences that exist in international organisations. There was broad agreement that employers needed to think about their people and encourage them to change, a process which should be led from the board room. One attendee highlighted that leaders can’t just expect a change be proposed, made and then simply accepted by everyone. This will take time and leaders should focus on making fewer changes, rather than altering too much at once. Discussion suggested that, while change often needs to begin at the top of an organisation, there should be collaboration and collective responsibility across the whole organisation. There was consensus that often employers make assumptions around what their employees want at work. Instead, they should be asking what both employees and customers want, a questioning which will likely lead to increased levels of employee and customer satisfaction. After some discussion, there was the suggestion that perhaps rather than seeing business and digital change as separate activities, they are in effect interchangeable. Companies will benefit from seeing the opportunities that change provides, and it is important to be ‘change fit’. As the saying goes, change will be the only constant in the years ahead. Jolly explained that one of the problems businesses have when facing change is that people don’t tell the truth. Instead, they say what they think their employer or colleague wants to hear. When it comes to the beliefs held by people in a business, it is perfectly possible for them to believe one thing at work, and then have different views outside of this. Beliefs are context-dependent and context-specific, and are therefore not fixed. Jolly then outlined three key myths when it comes to change. The first is that people act rationally, when in reality they act socially. Second was the myth that hearts and minds must be won before change can occur. Instead, behaviours can be changed directly. The final myth is that change has to be led from the top. Employees can actively deliver change, and Jolly talked about the culture of nemawashi in Japan. Employees in businesses in the country begin making changes incrementally and by the time these changes have reached management level, they are accepted as part of the life of an organisation. Rather than talking about values, Jolly explained it is more important to focus on behaviours, these making up the tangible warp and weft of an organisation. It is still possible to talk about values, but they need to be lived in the organisation, that is expressed through behaviours. When it comes to assessing the effectiveness of change, primary data is key. In any organisation, it’s vital to have access to high-quality research and data. The M&C Saatchi mantra zeroes in on this, with its formula of Insight + Creativity = Change. To drive any transformation, employees should be given the opportunity to become campaigners for change, to build social momentum among their peers and have access to creative tools to help them circulate new behavioural norms. It is essential any change in behaviour is closely monitored and then cross-verified with any change in operational outcomes. Towards the close of the session, attendees were given time to consider how implementing some of the discussion points might help them address the change challenge. It was agreed that leaders need to be asking the right questions. They also need to prioritise areas where changes are most required, and simplify this process as much as possible. After all, every interaction, both internally and externally, broadcasts an organisation’s brand and culture. The role of real-time, anonymised surveys in delivering meaningful feedback was emphasised, as was the need for adaptive feedback. Consonance between brand values and behaviours was a must. The discussion also led to further questions: What behaviours is an organisation trying to drive? What is a desirable behaviour? Overall, the key takeaway from the afternoon’s discussion was that transformation can happen but only if leaders recalibrate the way they think about change and shift focus to behaviours rather than unclear brand values. M&C Saatchi Transform helps ambitious leaders harness workforce behaviours to deliver change, mitigate risk and enhance performance through behaviour change communications. 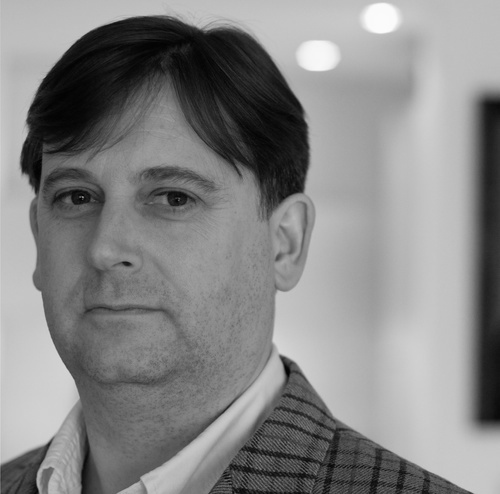 Stephen Jolly, managing director of M&C Saatchi Transform, can be contacted by emailing stephen.jolly@mcsaatchi.com.